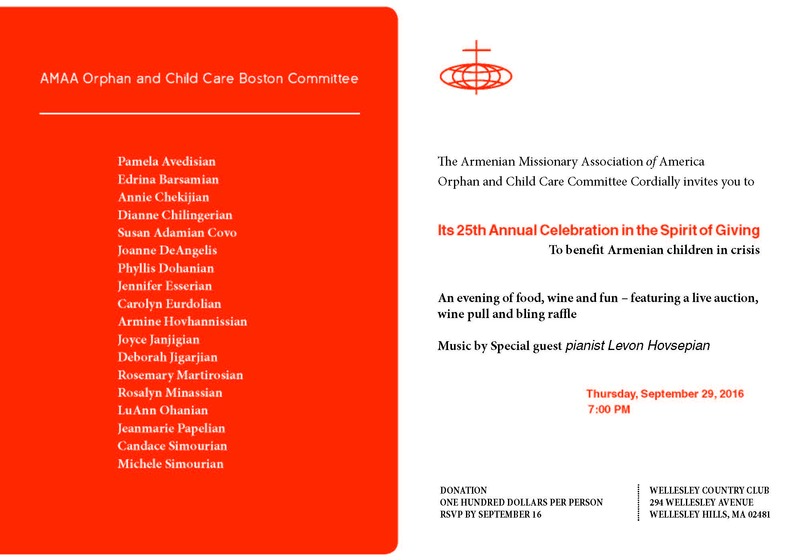 The Boston area Orphan and Child Care Committee will present its 25th Annual Fundraiser on Thursday, September 29, 2016. The Dinner and Auction will take place at Wellesley Country Club, 294 Wellesley Ave. Wellesley Hills, MA. We are accepting reservations online. Click here to RSVP.